Keith Vaz, an outspoken opponent of videogames in the British Parliament, has changed his ways, according to his contemporaries. UK backbencher Keith Vaz is probably best known for his vocal opposition to violent video games; but according to his fellow politicians, his views are changing, growing softer and less antagonistic towards the industry. "Keith has been on a journey," said Labour's Tom Watson, speaking on Question Time on Monday night. "Over the last 12 months his views have shifted quite significantly. Partly because he read what Tanya Byron had to say, partly because the industry had engaged with him and wouldn't let him get away with factually inaccurate comments, and partly because he is getting kicked to death in the tearoom when the cameras aren't there. Vaz's new-found respect for the gaming industry comes at an interesting time, as there will be a general election in the UK in the next few months, and Labour's grip on power is shaky at best. 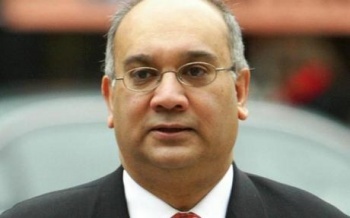 Is Vaz's revised stance really a result of more information, or is this a ploy to win back some gamer votes?